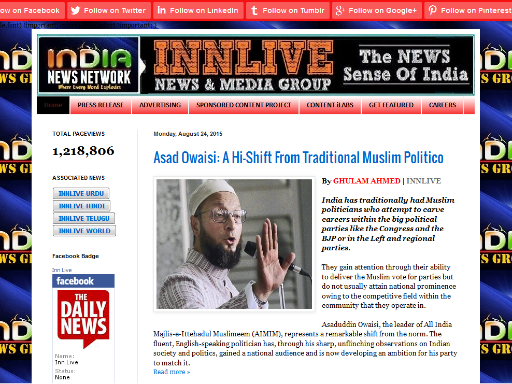 I have voted for "Innlive News - Innlive Media Group" for the "Political" at #WIN15. Vote to make your favourite blogger win! These are the Top 5 blogs. Attend #WIN15 to know the winners! Copy this code in order to share your nomination for the BlogAdda Blog Awards on your blog!